Take yourself on a self guided Xian food tour with this complete guide to food in Xi'an. 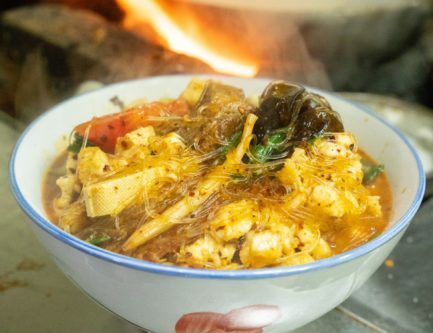 Below are the best 21 foods and restaurants to eat at in Xi'an, complete with addresses and detailed ordering instructions. 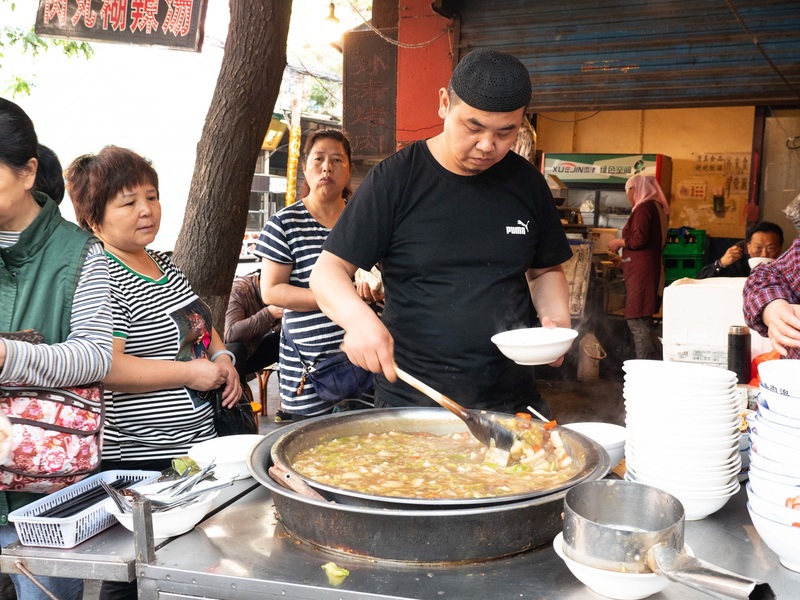 You can choose your favourite spots and take yourself on a Xi'an food walk! I've been eating in Xi'an for over 10 years, and these are my best picks! 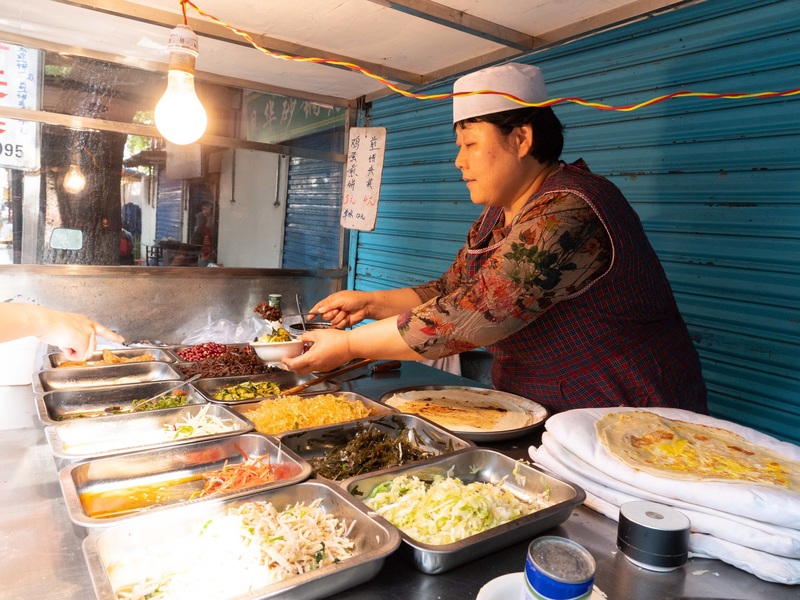 By the time you finish all of them, you'll have a great understanding of local Xi'an food, and you will have tasted some insanely delicious flavours! 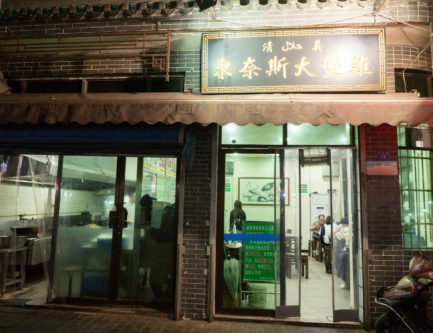 Note: Exploring for these Xi'an foods on your own will take a LOT of exploration and time. I recommend installing a VPN before arriving to China so that you can use Google Maps to find the pins on the Google map below. 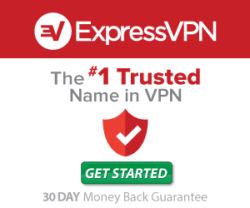 I recommend ExpressVPN (49% off with this link). Includes clickable Google Map and Dianping Shop locations for you to navigate your way around by foot. 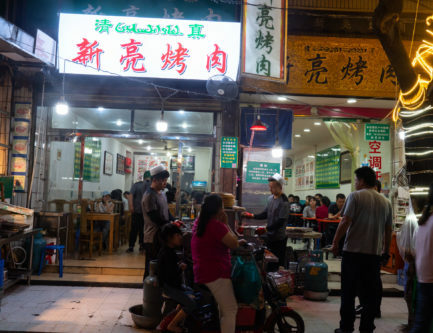 The map above shows all of the best restaurants and street food to try in Xi’an. 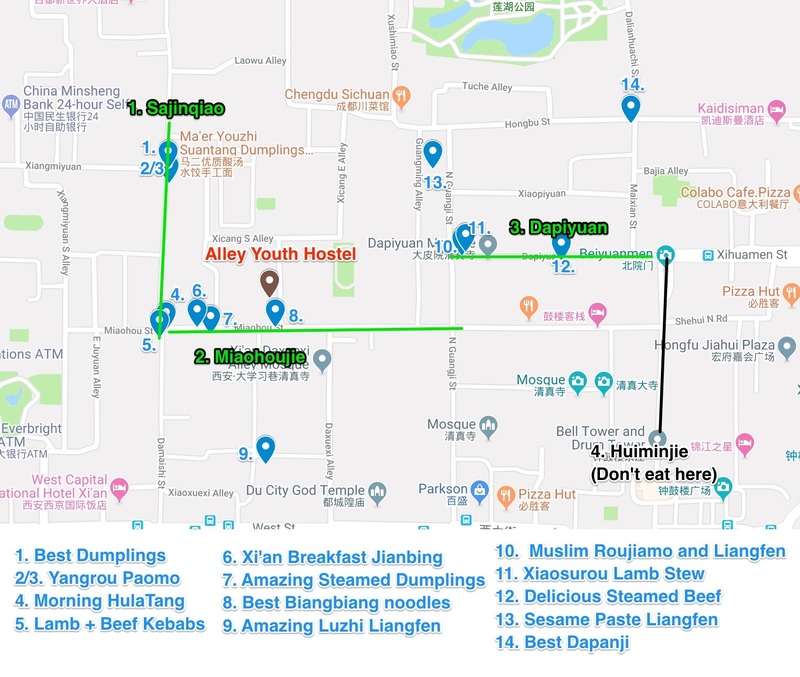 If you’re unsure of where the best restaurants in Xi’an are or if you’re looking to go on a self guided Xi’an food tour, you can follow along with this map and try all of the classics. 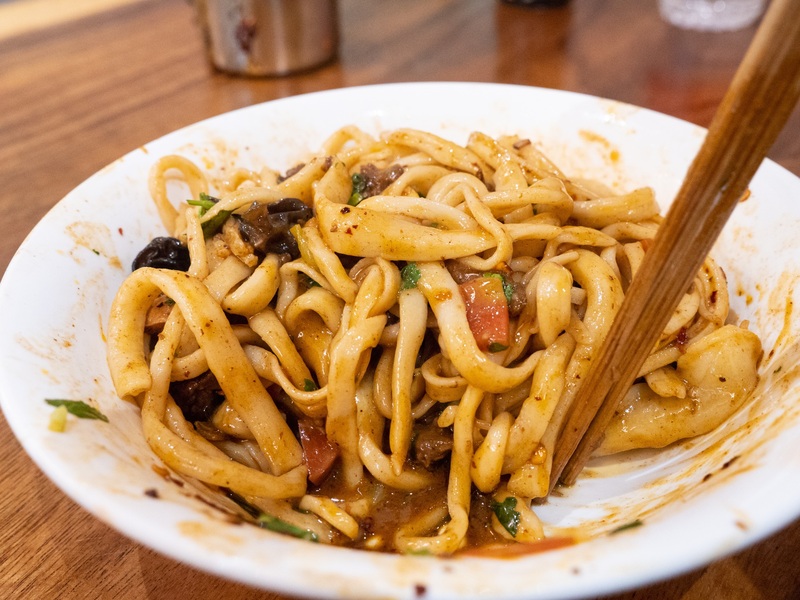 The best food in Xi’an is all here, like biang biang noodles, crispy pork roujiamo pita sandwiches, juicy and spicy beef dumplings, and more. One tip: AVOID HUIMINJIE. 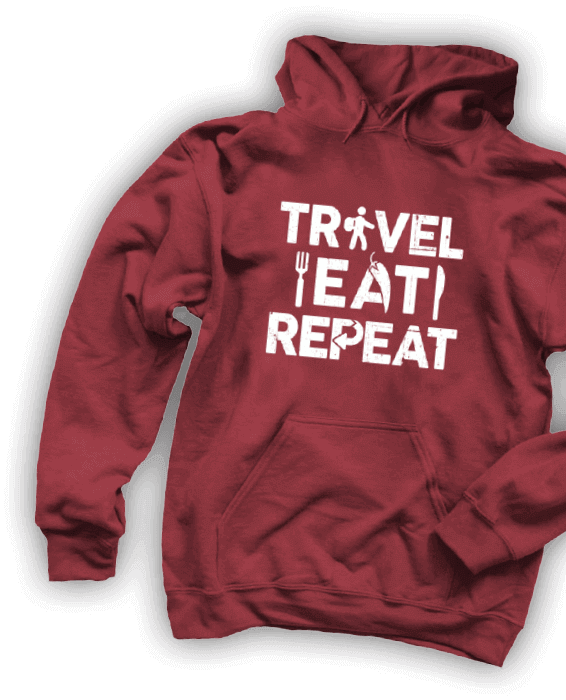 It is extremely touristy and there is far better food just a short step outside of it. This is where the locals eat. 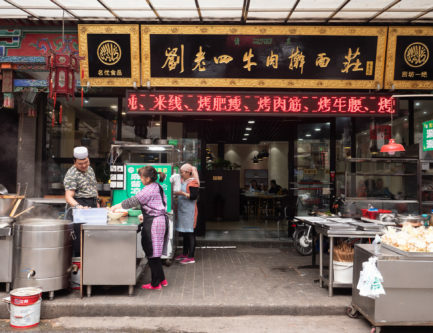 You can try authentic hui muslim Chinese street food here eaten by locals and made for locals. 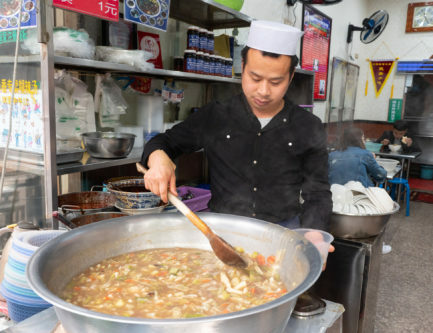 Most of the foods in this Xi’an food guide are found on these 3 streets. The perfect hostel is located right in between them, at Alley Youth Hostel. 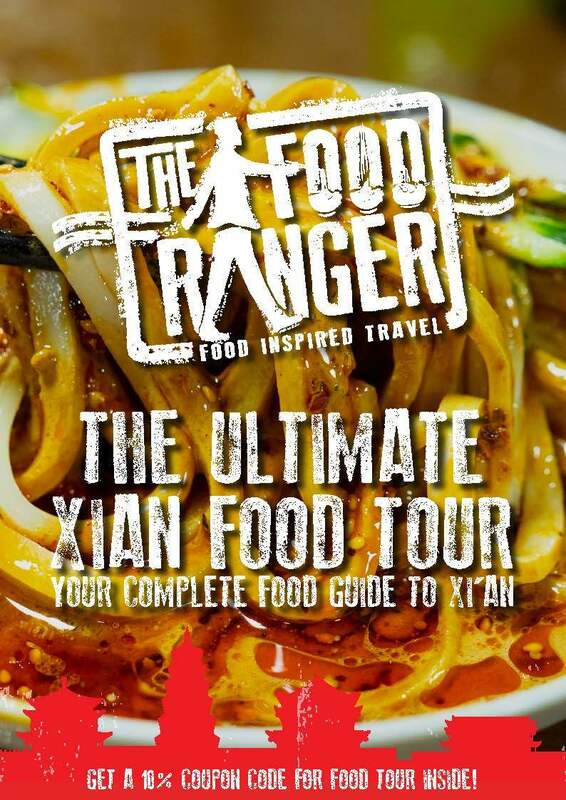 This will allow you to walk around and explore and eat as much delicious Xian food as you can! The first 14 are in the hui district in the core of the city and featured on this map. My personal favourites are the Suantang Jiaozi Dumplings (#1), Yangroupaomo (#2), and the Xi’an pork roujiamo (#14). These are some of the best dumplings you will ever eat. They are stuffed plump with beef and garlic chives and poured steaming hot into a bowl of vinegar, chili oil, sesame, cilantro, and garlic. 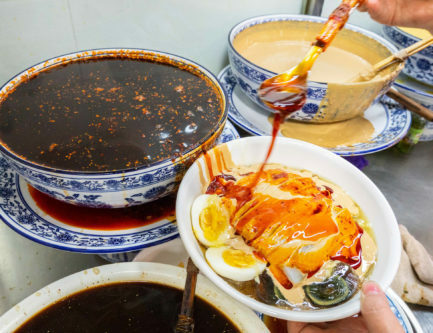 When you bite into one and the juice pops into your mouth, you will feel the true soul of Xi’an in your mouth and never want to leave! You really have to try this one. There are two ways to get your paomo. You can either get a fresh pita bread unbroken, and break it into your empty bowl, then hand it back to the chef, which he will then add into the wok and cook for you, or, you can get it pre-broken up. For your first time, you should break it up yourself, so you can get the true feel for the pita and have a little fun too. The locals say that you should break it as small as possible, so that each piece can soak in the richness of the lamb stock. Just say “ziji bai 自己摆” I visited a few paomo restaurants, and all of them were amazing! The one we found on our last night in Xi’an was probably the best. The address is below. Apart from the one below, you can also visit 老白家水盆羊肉 (北广济街 76号) if you want to try another one after at a different location. The stock was full of aroma! 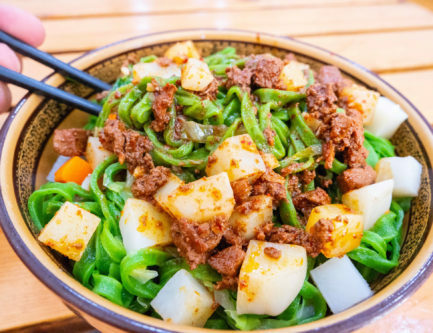 Apart from the Yangrou paomo, there is another dish, the xiaochao paomo (小炒泡馍）, a very similar but spicier version, that is also worth ordering. I ate it at the same place as the Yangrou paomo place, and it was super delicious and spicy and garlicky. This is one of the most unique breakfast soups you’ll ever try! 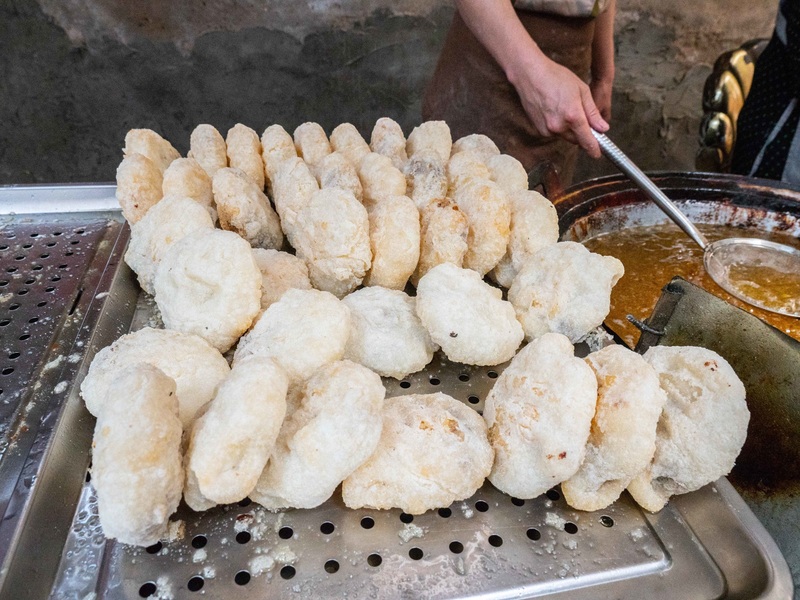 The hulatang is a classic Hui street food found on a lot of corners in the Hui district of Xi’an. The first time I tried it, I was surprised by how numbing the flavour was. The Sichuan peppercorn they add into the thick porridge like broth gives it a real kick, and when you add chili oil in as well, it’s quite spicy! Eating BBQ lamb kebabs on the streets of Xi’an late at night is one of the most satisfying and enjoyable things you can do in the city. 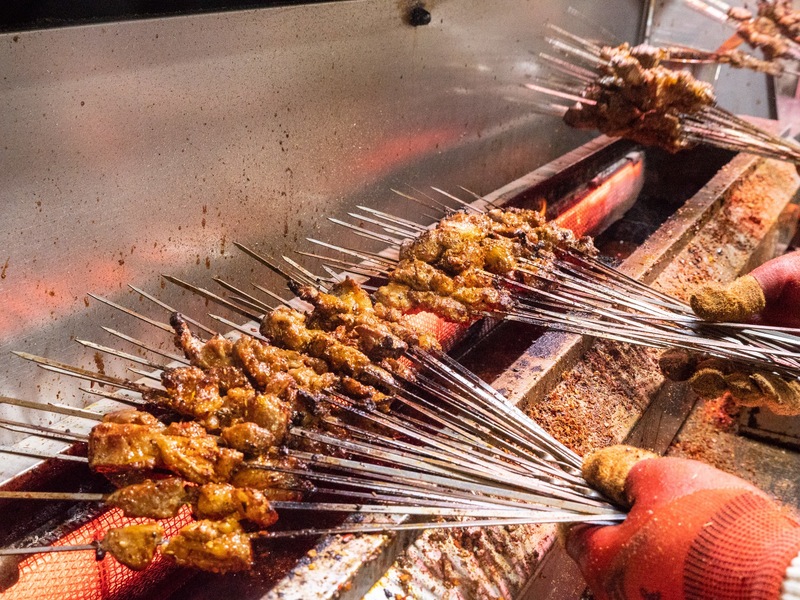 The portion of meat on the kebabs is quite small at many places, so it’s a good idea to order at least 20 kebabs to get a good filling of meat. In the Huiminjie area there are many late night kebab joints, but my favourite is at xinliang kaorou, where the cumin and chili mix is perfect and where they also serve you these beautiful wide nang breads also put on the BBQ and covered in spice. Comments: Order 20 or more kebabs and you'll be in heaven. Hours: Come late at night 8 or 9 PM for the best time. 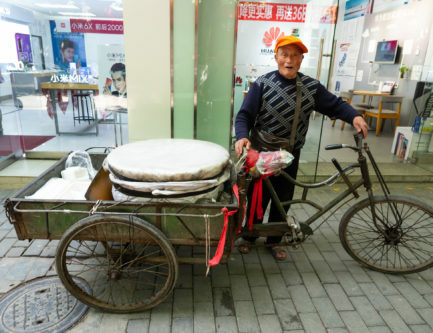 The jianbing is famous in Beijing and Tianjin, but here in Xi’an is my favourite! 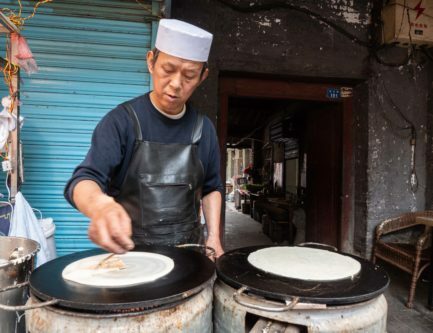 If you’re exploring the old alleyways of Xi’an in the morning, chances are you’ll find a delicious Hui Chinese Xi’an jianbing. It’s loaded up with 0ne or two eggs and wrapped up with a selection of pickled vegetables, peanuts, chicken, carrots, and more. You simply point at what you want! For ordering, you will say either “one egg” as “yi ge ji dan”, or “two eggs” as “liang ge ji dan”. These are some of the best steamed dumplings you will ever eat. They are stuffed with beef, and I think I tasted a little cumin and spices in there as well. Their shape is a signature style which I haven’t been able to find in other places in China. They are so plump and round and served with a chili and vinegar dip goes along perfectly! Their restaurant recently moved to a bigger location, which is much larger and cleaner. 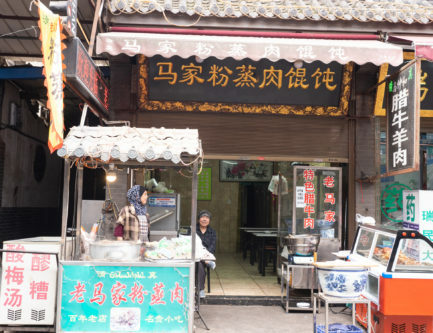 It’s still in the old hui neighbourhood of central Xi’an, and is walking distance to Alley Youth Hostel. 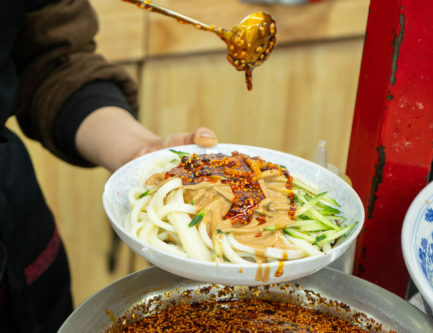 When you visit, make sure to also order their majiang liangfen 麻酱凉粉 cold rice noodles with sesame paste, chili oil, and vinegar, along with their sweet and refreshing babaozhou 八宝粥 a cold date, lotus petal, seeds and nuts porridge. And don’t forget to order their majiang liangpi 麻酱凉皮! If you were to choose one noodle dish to try in Xi’an, the Biang biang mian would be the champion. These noodles are so good you could move here just to eat them every day! I would love to do that! 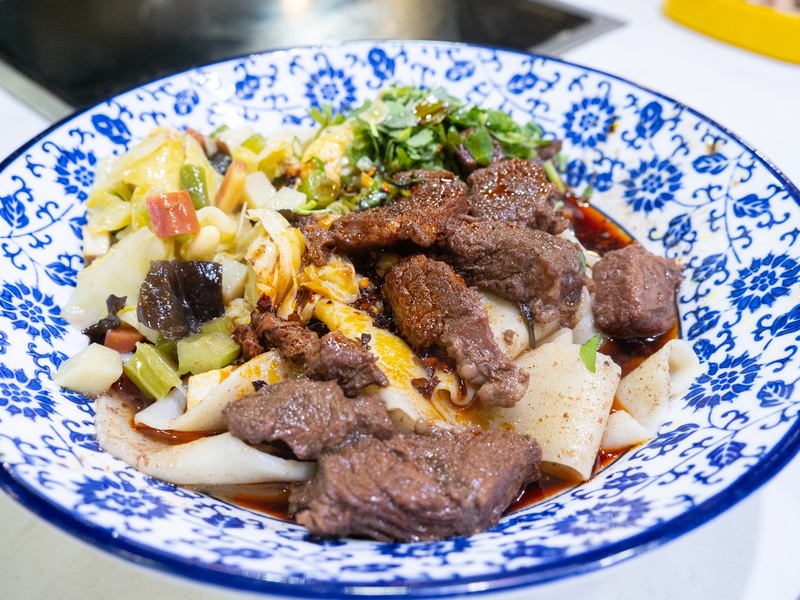 The fat hand pulled noodles are covered in a rich chili oil with a strong cinnamon and star anise flavour and topped with carrots, celery, cilantro, beans, and nice big chunks of beef. 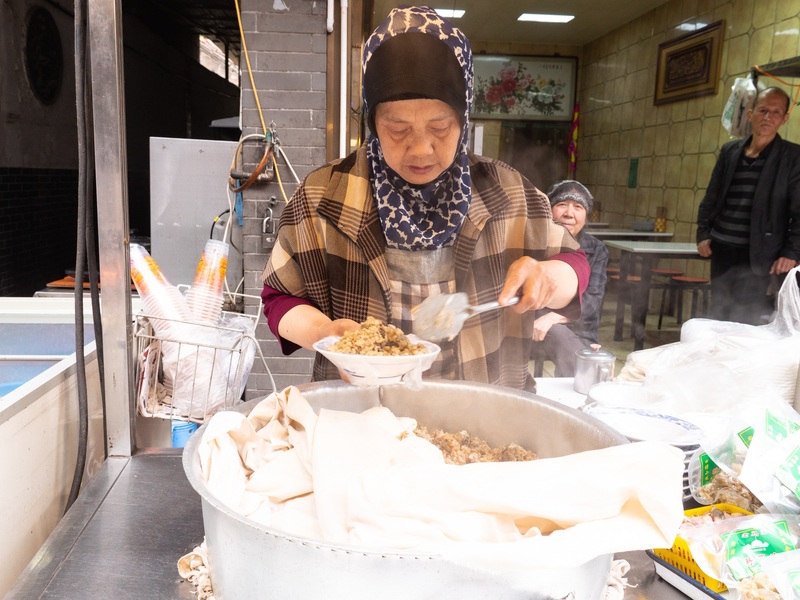 There are hundreds of biang biang noodle shops in Xi’an all lining the huiminjie area, making it a really easy bowl of noodles to find. I personally really enjoyed the noodles at Liu laosi 刘老四牛肉擀面庄. 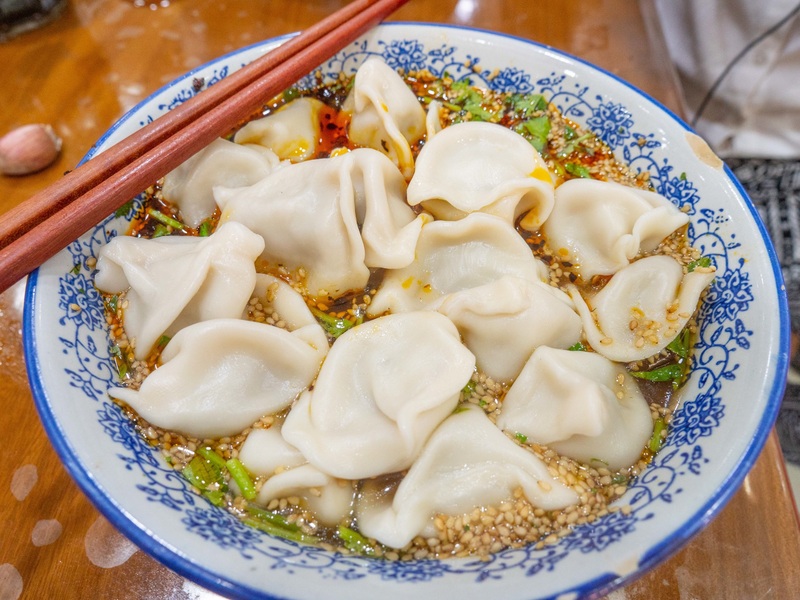 This is another classic Xi’an street food, and one of the most flavourful too! 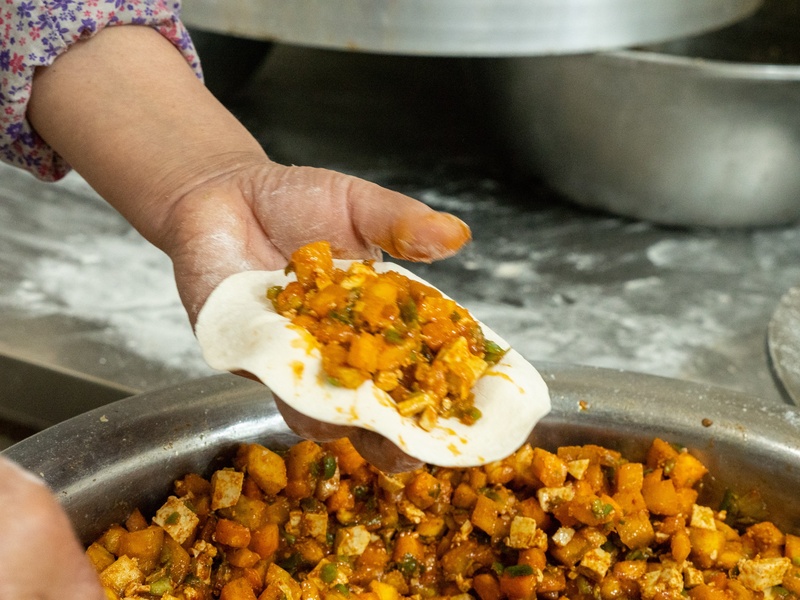 There are many different places to try it on the streets of Xi’an, especially in the Huiminjie area. You will find a high concentration on Sajinqiao street. 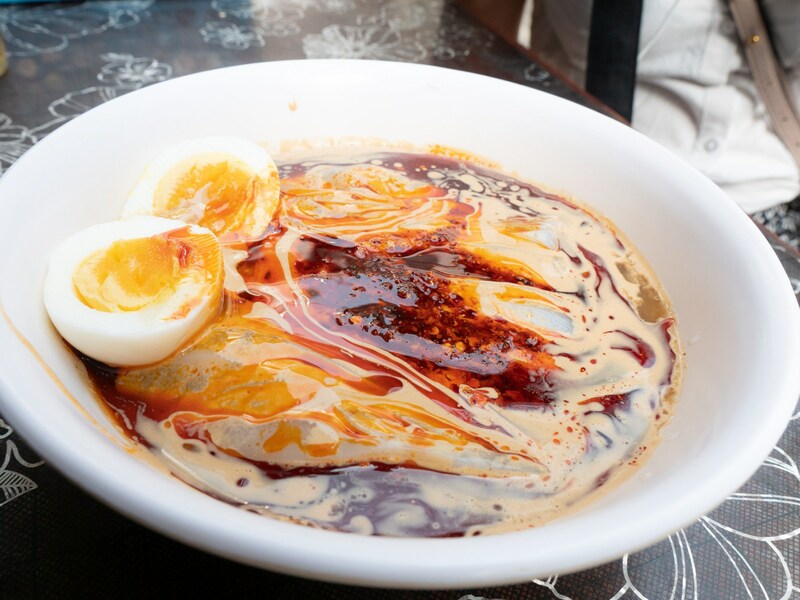 It’s essentially a bowl filled with a broken up pita bread, fat rice jelly noodles, their specialty five spice thick soup, vinegar, chili oil, sesame paste, and a half boiled egg. It’s a lot of flavours in one bite, and definitely worth a try! The place we found was deep in a local alley and was the best I’ve ever had. It also turned out to be quite a famous place, and we didnt’ even research it or plan it. Go try it out! This is one meal that tastes way better than it looks. The Xiaosurou is a somewhat oily lamb stew concoction that is full of peppery and smooth gravy like flavour. You can add chili oil to it and eat it with a bowl of rice and it will fill you up and give you energy. 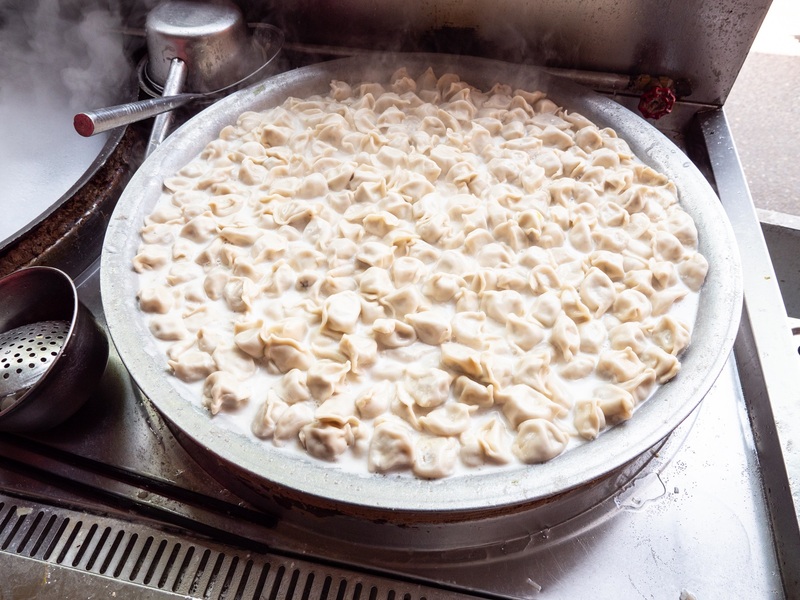 It’s one of my favourite foods in Xi’an. Must Order: Order the Xiaosurou 小酥肉. If you like you can order a liangpi and roujiamo from the restaurant directly beside it. The fenzhengrou is one of my favourite foods to have in China. 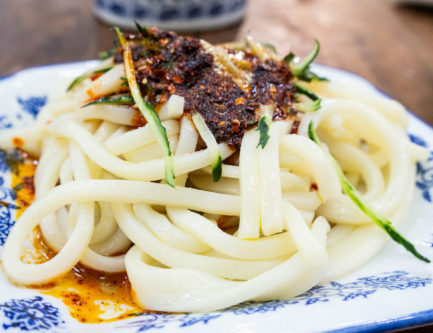 It’s found all around China, served spicy and numbing in Sichuan, and Xi’an, where it’s a little more mild but served with raw cloves of garlic for an extra punch of flavour. 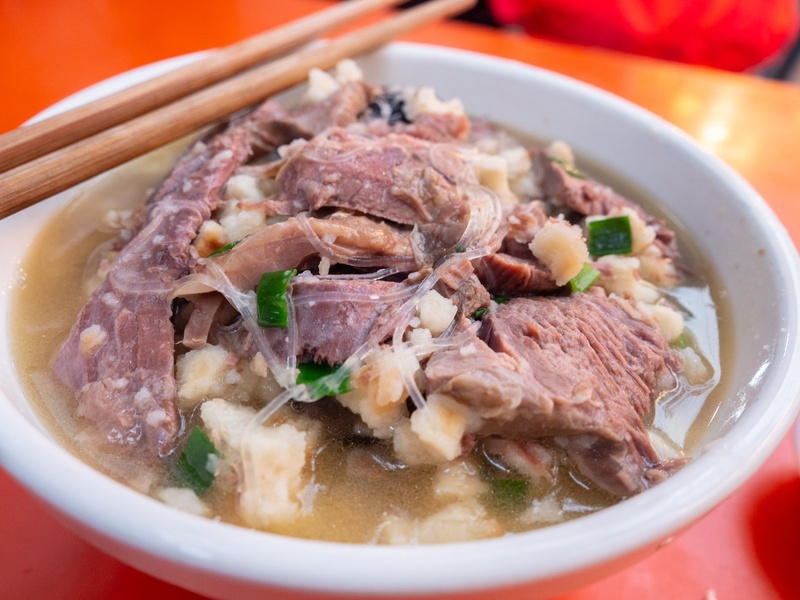 It’s essentially steamed beef with chunks of rice flour with some spices served with a soft bun. The place I go to in Xi’an is run by a friendly Hui woman who is proud of her bowl. Comments: Directly across from here is a famous Hulatang place. Come in the morning if you want it. 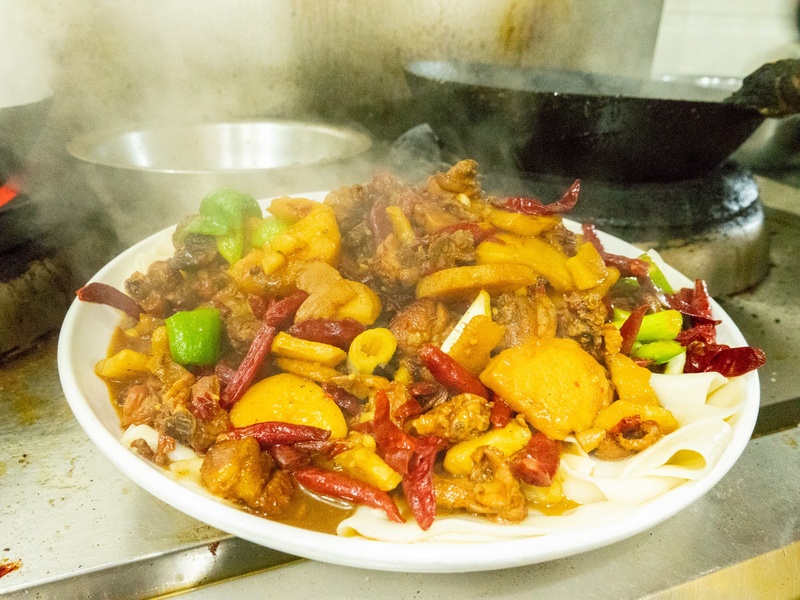 Originally from Xinjiang in Northwest China, the Dapanji big chicken plate is another famous dish you can eat in Xian. 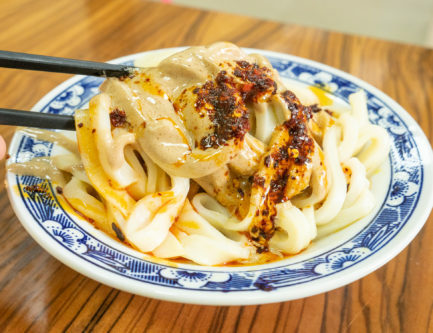 It’s one of the best noodle dishes you can try in all of China. A huge bed of hand stretched noodles is covered in huge chunks of chicken, dried red chilies, potatoes, and bell peppers, and the flavour is full of cinnamon and star anise. It’s one of the most enjoyable noodle experiences in the world! 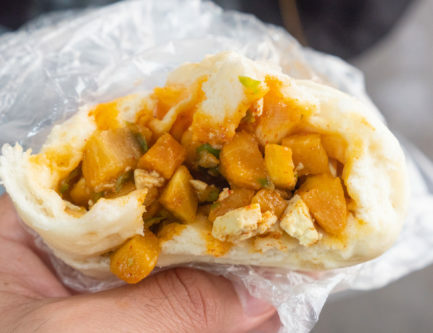 This is absolutely the best street snack you need to try when you travel to Xi’an. 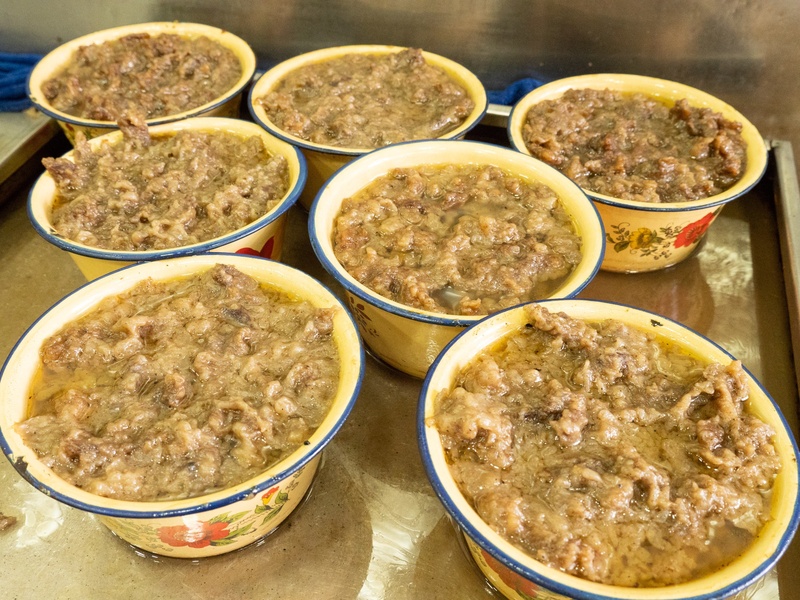 There are two versions, one which is halal style made by Hui people, usually made with beef, and another style made by Han Chinese, usually made with pork. 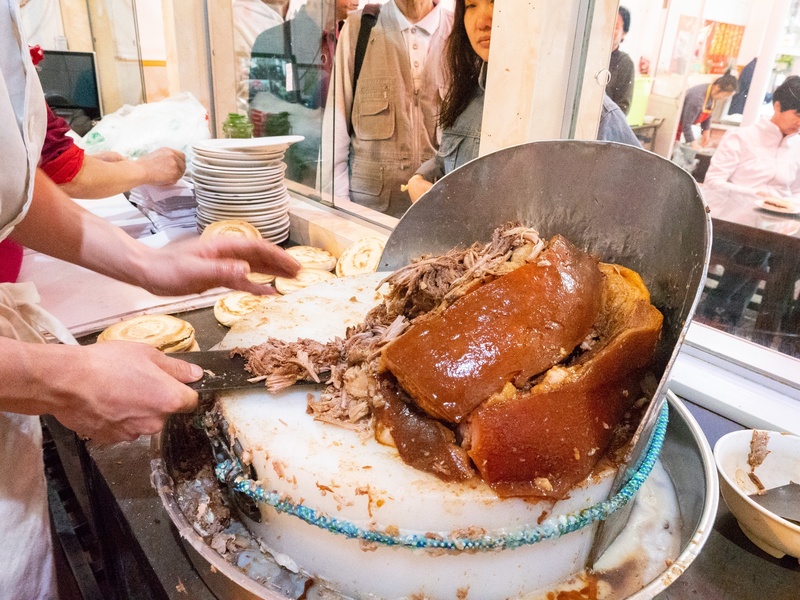 After visiting Xi’an a few times, I’ve found the most incredible pork roujiamo at a little restaurant that is worth the walk out of the huimin district. It is so packed with flavour and it is the perfect mix of both fatty and lean meat, served inside a crispy and fluffy hot pita. When I visited, we got a look into the back kitchen and witnessed the chopping of this ultra rich, fatty pork meat. It was insane! 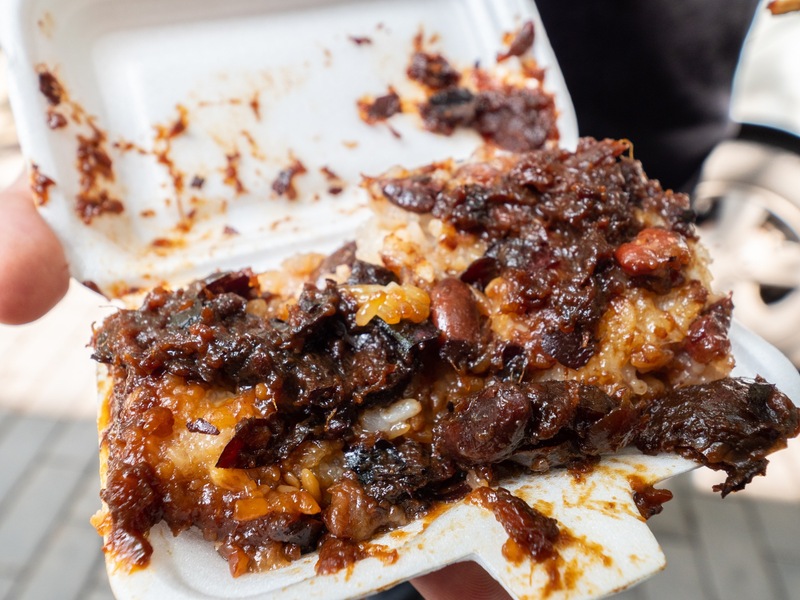 The way they scoop it into each steaming hot bun one after another with all the juices bursting and the meat overflowing from each bun gets you so hungry! 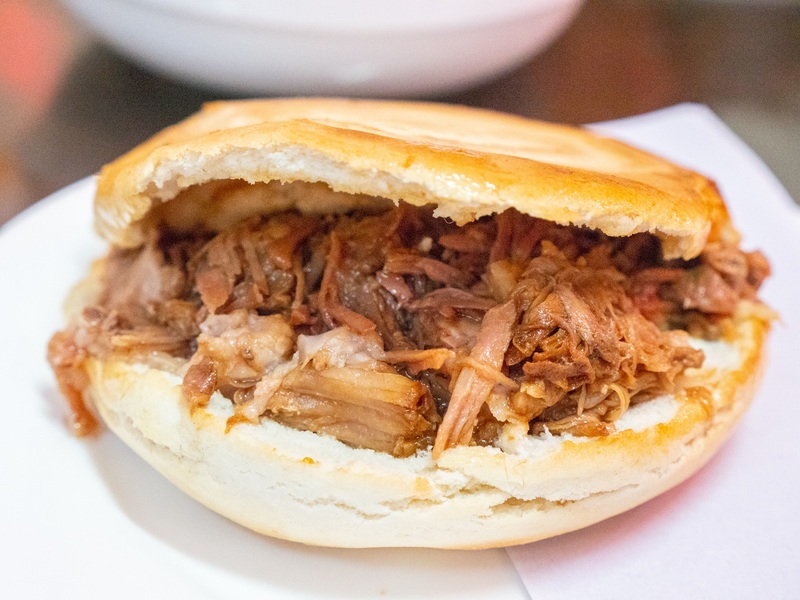 Just watching the juice bursting and all the fatty skin and lean meat being chopped up into this beautiful fresh baked pita is worth flying to Xi’an for! Comments: Order it "Youzhi de", premium extra pork! 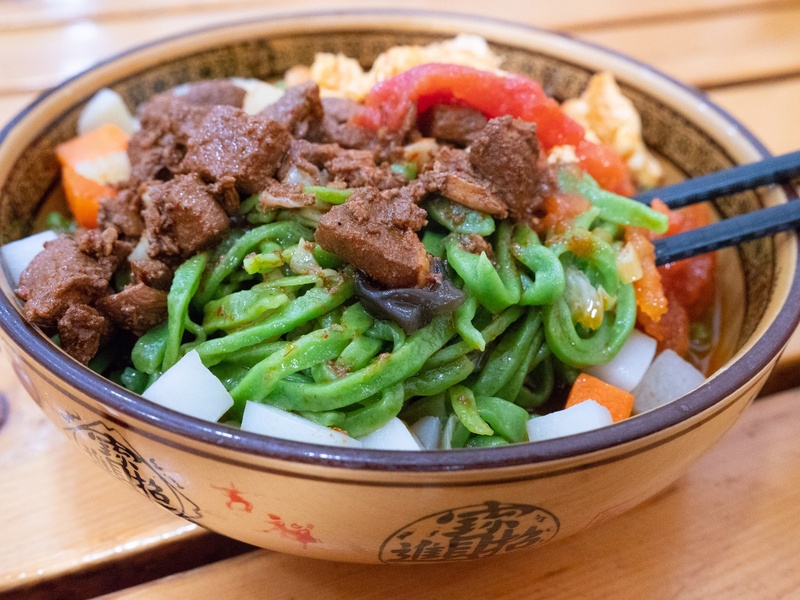 One thing you really have to eat in Xi’an is the beautiful spinach noodles. 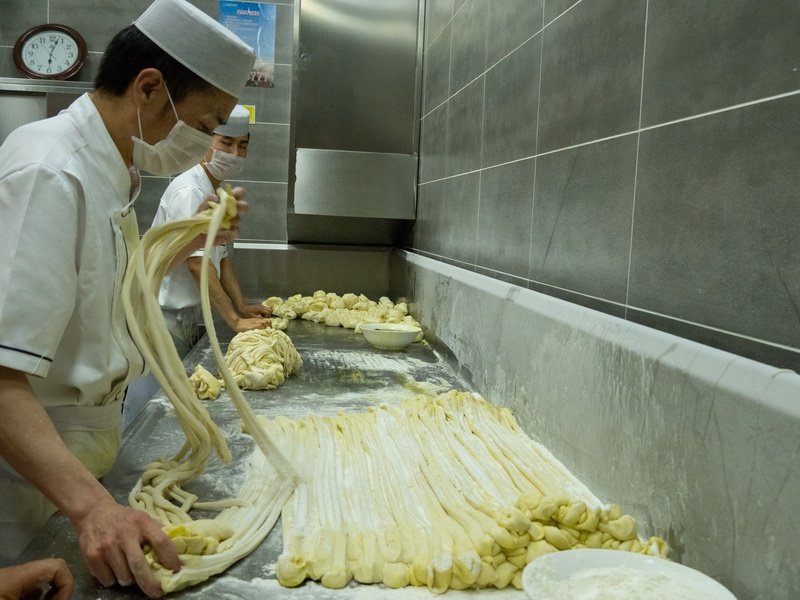 You can find the uncooked noodles sitting on shelves ready to buy and take home in shops all throughout the city, but your best option is to go to a shop that specializes in making them and preparing them fresh. You can choose from a bunch of different sauces to put on top, but I always choose either tomato and egg, or stewed pork. 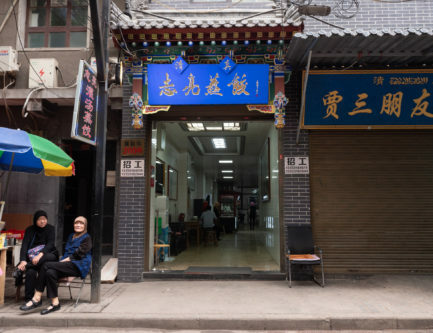 The place we found was great, and also sitting right across from a popular youth hostel, the Han Tang Inn. I’ve stayed there before and enjoyed it, especially being able to meet travellers from all over the world. I found this while exploring the back lanes on our way to eat the luzhi liangfen dish. It’s this massively plump sticky rice ball stuffed with a very sweet brown sugar and rose jam combo. 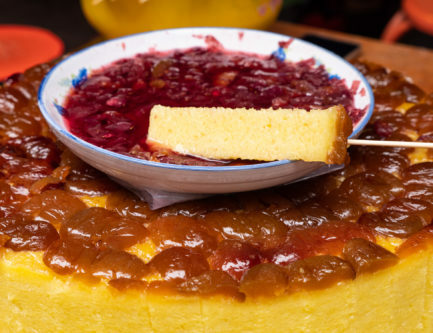 The best part is how it is super gooey and soft when you bite into it, and the sweet floral rose jam just gushes out as you eat it! Address: This one is a little more difficult to find, but not too bad. Just go to the intersection of Miaohoujie 庙后街 and Xiaoxuexixiang 小学西巷. It's in the Xiaoxuexixiang. You can also keep walking and take a left at the first intersection and you'll find the Luzhiliangfen. This is one of the most refreshing things you’ll ever put in your mouth. It’s essentially a cold rice porridge with seeds, nuts, and dried fruits. It goes along perfectly with the guantang jiaozi dumplings, so order one of each and a liangfen at the same restaurant as above. 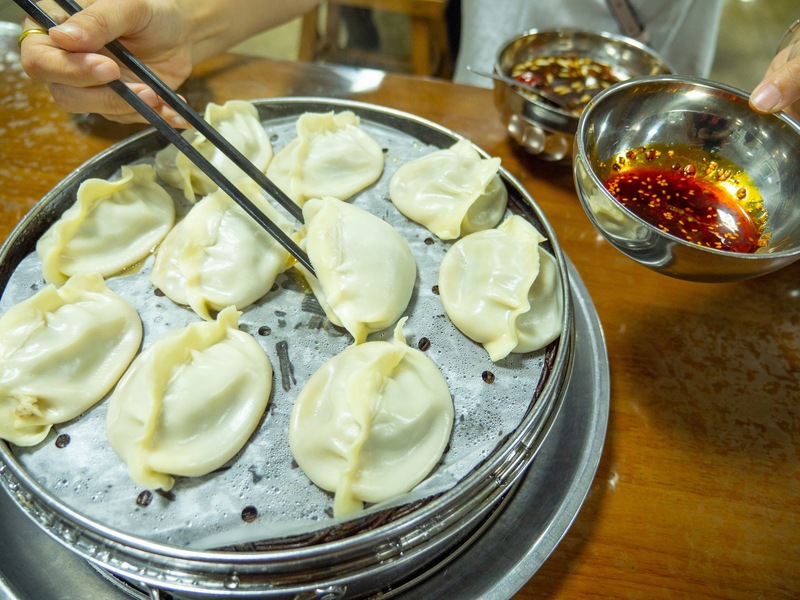 These are some of the BEST baozi you will ever eat in China! 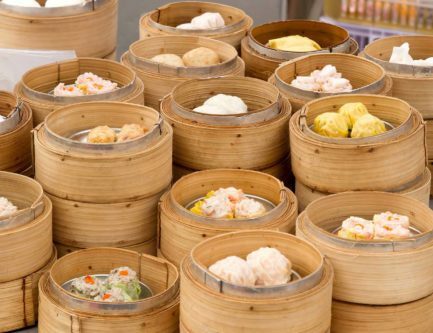 If you love plump dumplings, juicy buns, and all the different types of dim sum and bao’s in China, you’re going to love these baozi in Xi’an. They offer a huge selection of fillings, which you can point at and try to your heart’s delight. Definitely order the pumpkin baozi, my personal favourite, AKA nangua baozi. 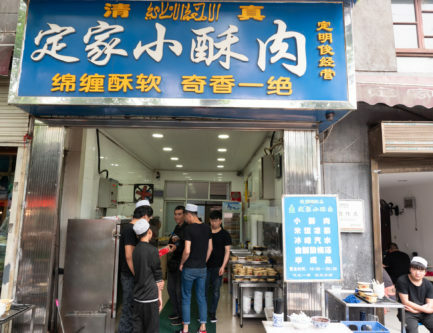 Comments: It's a little bit outside of the huiminjie district, but it's sure worth it if you want the best bao's in China! 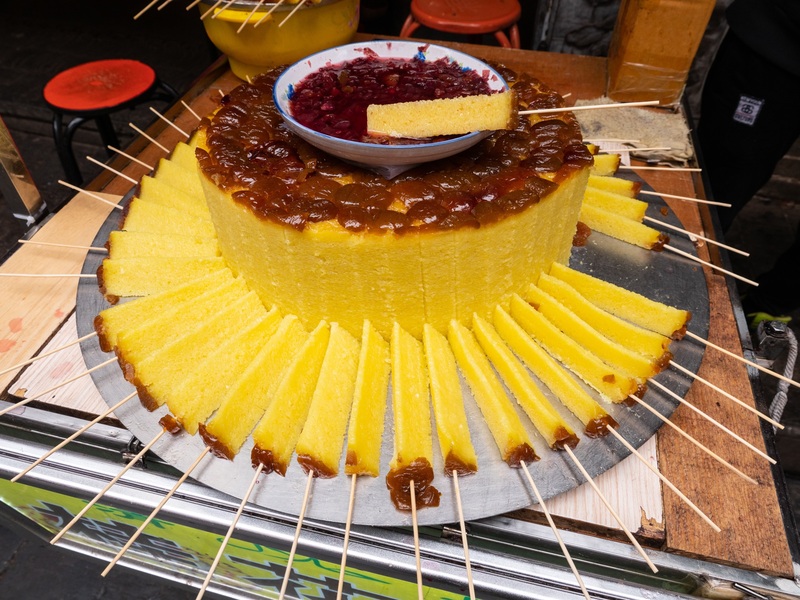 The zenggao is my favourite Xi’an dessert. It’s made with sticky rice, dates, and beans, and it’s super sweet and filling. You can find it all around the huiminjie district. I found one offered by a man selling it from a giant tricycle! It was super delicious! Comments: You can find it in the huiminjie district. 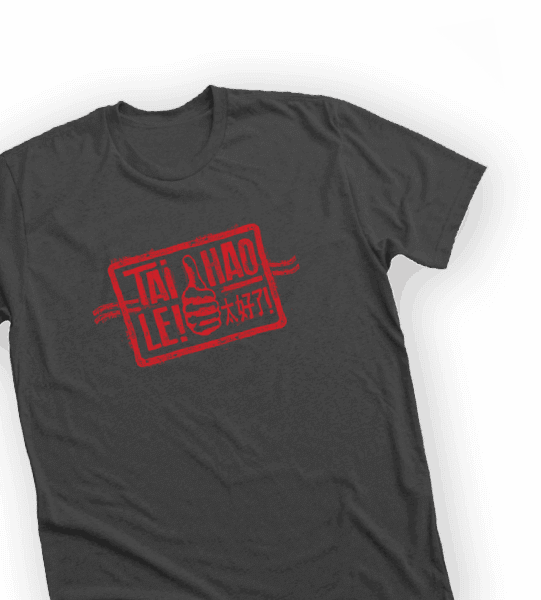 Or, you can walk around the back streets of Xi'an and probably find a vendor selling it. 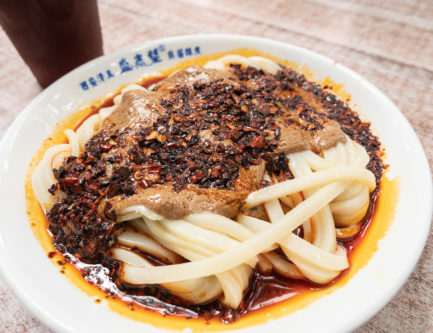 After the biang biang mian, also known as biang biang noodles, these noodles were my favourite in Xi’an. The noodles are coated in a rich beef, carrot, cinnamon, and star anise gravy and they are all hand pulled by noodle masters in the back kitchen! This is a little outside of the Xi’an huiminjie district, but so worth coming for! The coolest part is watching the guys in the back kitchen pull the noodles. It’s a noodle heaven! They pull thousands and thousands of noodles each day and they have hundreds of bowls waiting on the counter ready to pour the hot noodles on top of! You’ll be so excited as soon as you see these! Comments: Slightly outside of the huiminjie district, but very worth coming to visit! 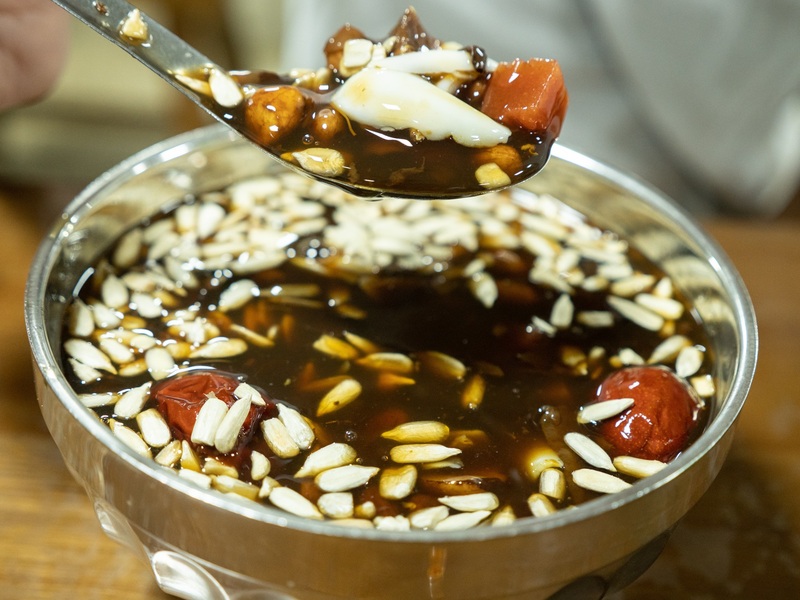 The jinggao is another of Xi’an’s best desserts, made from sticky rice, rose jam, and some nuts. It’s very cheap for one stick, usually one or two RMB, and is found all over the huiminjie area. While I did’t find a specific spot with the best jinggao, you can find it so easily everywhere and they are all quite similar. To access Google maps and to login to Facebook, Instagram, Gmail, and many international sites, you will need to install a VPN. I use ExpressVPN. 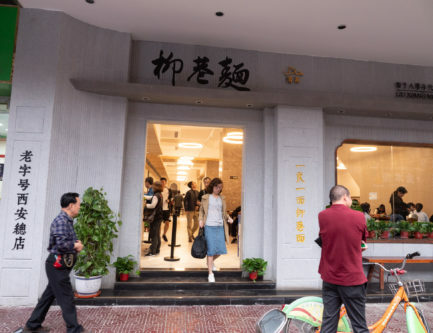 If you're not sure where to stay in Xi'an, I recommend Alley Youth Hostel, because it's in a perfect location and is very clean. 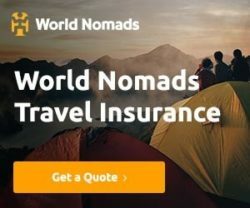 Xi'an is a very safe location, but it's always better to travel with health insurance. 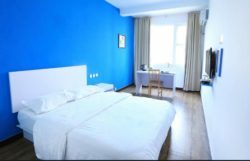 If you don’t know where to stay in Xi’an and are looking for a good hotel in Xi’an with a good location, I recommend staying near the huiminjie district within the old city wall. If you are traveling on a budget like we were, you can stay at Alley Youth Hostel because it’s close to hundreds of delicious street foods literally seconds away from you, and it’s in a super local Hui neighbourhood with even more street food to try than the famous huiminjie. The above pin is for Alley Youth Hostel. 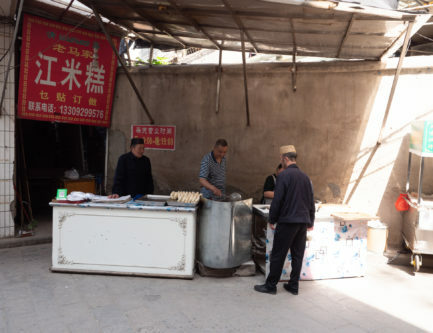 Directly south of it is Miaohou street, and walking just a couple hundred meters west brings you to sajinqiao street, my favourite location for the best street food in Xi’an. 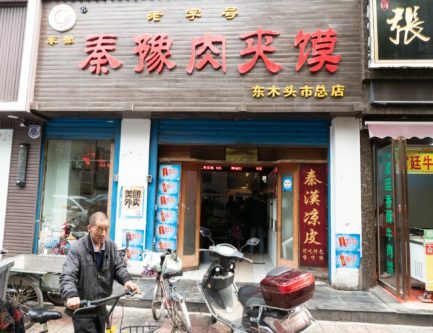 These two streets of Miaohoujie and Sajinqiao is enough to explore for a few days of eating and you will be far enough off the main tourist street to enjoy the real atmosphere of Xi’an’s hui district. 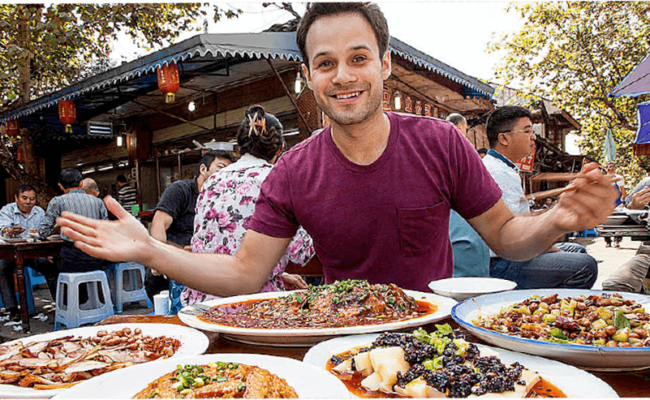 Watch the playlist above and enjoy these FULL-ON Chinese Street Food Tour videos in Xi’an! I really like the maps and all the useful information! I can screenshot places I want to visit. I leave for China Tuesday and have been binge watching your YouTube Channel! My husband is super jealous of your language skills. Another guy who does a city on $20 a day started playing and my husband started yelling, “is this guy everywhere!”, when you appeared on his videos! Lol!!! We are enjoying watching you eating around the world. I really appreciate this format. So that I can actually find the food I want to try. The videos often move to fast to jot things down. Hi Stacey! Thank you very much for the nice comment! I really hope that this proves useful for you!! HI Abishek! Thanks so much! I’m really happy you like the post! I hope you find it useful buddy!! Hi Jeremy!! Thanks so much!! I hope you can try them all man!!! Hey James I really enjoy your videos I watch your videos learn a lot and explore different places.I will invite The Food Ranger team to Lahore. Thanks a lot Hamza!! We would love to visit Lahore! Omg they look amazing! Thanks for sharing this! I will definitely bring this guide with me when I go to Xi’An. My mouth is watering from just reading this list. Awesome to hear that Lucy! I hope you have a great trip to Xi’an! Thank you so much for your excellent guide. We ventured out and managed to try out 8 of you awesome recommendations. Well let me you they were amazing. The people were so friendly and helpful to us. Right now we’re on our way to checkout Chengdu. Which of course we’ll yet again take use of your Chengdu too. Trevor you’ve opened up a different world for all of us and as a Malaysian I’ve eaten Chinese in only around peripheral countries. Thank you so much for your effort! Wish I had a job like yours! Lived in China for 4 years (near Hong Kong). Visited Xian once, loved it! Have seen a lot of Chinese food sites, but none are done as well as this one. Nice job! Looks great, has an awesome layout, with great info, maps, and pics. Congrats.